Backpack Health works with key organizations that make a difference for patients. Please let us know if you'd like to speak about Backpack Health for your organization. CAN is America’s leading caregiver organization working to improve the quality of life for those who care for loved ones with various conditions, disease, or the frailties of old age. Project Alive is a non-profit organization dedicated to finding a cure for Hunter Syndrome (Mucopolysaccharidosis II) through research and advocacy. AIU creates a brighter future for everyone affected by Adrenal Insufficiency with the help of Backpack Health. Allergy & Asthma Network is the leading national nonprofit organization dedicated to ending needless death and suffering due to asthma, allergies and related conditions. CBD is a non-profit organization with a mission of providing support for patients and their families beyond medical treatment. The CHAMP1 Foundation is committed to finding effective treatments for those affected by CHAMP1 disorders. Cure HHT's mission is to find a cure for HHT while saving the lives and improving the well-being of individuals and families affected by HHT. DSN is an organization providing support, resources, and education for patients affected by the many forms of Dysautonomia and related conditions. EDS Wellness is a non-profit organization providing support, resources, and education for those living with Ehlers-Danlos syndrome. EDS Wisconsin provides support and resources to patients and medical professionals about Ehlers-Danlos syndromes and related conditions. Fabry Support & Information Group (FSIG) is a 501(c)(3) nonprofit organization with a mission is to raise awareness of Fabry disease and its symptoms. The Georgia EDS and Hypermobility Network supports persons living with Ehlers-Danlos Syndromes and Hypermobility Spectrum Disorders. The goal of Harrison's Fund is to cure Duchenne Muscular Dystrophy in time to save Harrison's life and the lives of thousands of boys like him. JB's Keys to DMD is unlocking the doors to awareness, quality of life & care, and research for ​Duchenne Muscular Dystrophy. Little Hercules Foundation works to improve the lives of those diagnosed with Duchenne Muscular Dystrophy through Advocacy, Awareness, Family Assistance and Funding Research. Mast Cell Research is an online resource for research articles and publications on Mast Cell Activation Disease (MCAD). MPS Superhero Foundation is a non-profit organization supporting patients and their families with MPS II (Hunter Syndrome). MyDuchenne Backpack provides an easy way for Duchenne patients and their families to create, own, and control their health data. The National Adrenal Diseases Foundation informs, educates, and supports those with adrenal disease and their families. The Canadian Association of PNH Patients connects and supports Canadians affected by Paroxysmal Nocturnal Haemoglobinuria. The Children's Scoliosis Foundation strives to improve the lives of families affected by scoliosis. Acer is a pharmaceutical company focused on the acquisition, development and commercialization of therapies for serious rare and life-threatening diseases with critical unmet medical need. Akcea Therapeutics, Inc. is a biopharmaceutical company focused on developing and commercializing drugs to treat people with serious and rare diseases. StickyJ Medical ID is a leading producer of Medical ID Bracelets for adults and children, whose products have been known for their quality and reliability since 2000. Ambry is an established leader in clinical genetic diagnostics and genetics software solutions, combining both to offer the most comprehensive testing menu in the industry. Antidote accelerates breakthroughs in potentially life-saving treatments by bridging the gap between medical research and the people who need it. 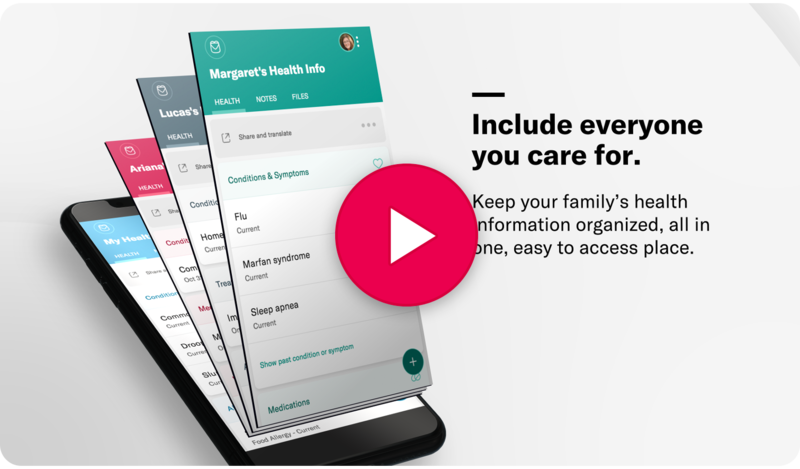 CARIN's vision is to bring stakeholders together to advance the ability for consumers and their caregivers to easily get, use, and share their digital health info when, where, and how they want. Findacure is a UK charity that is building the rare disease community to drive research and develop treatments. Finn Partners is an award-winning full-service marketing and communications company—one of the fastest-growing agencies in the world. MemoryWell is a digital platform for elder storytelling and a place to offer advice, support, news, and a community for caregivers of seniors. My City Med helps connect patients to the best medical providers in their city, providing a database that is searchable by city, by provider, or by diagnosis. ODC is a consultancy company acting as advisors for pharmaceutical businesses in Brazil/LATAM's market, focused on rare diseases. Rare Patient Voice, LLC provides patients with rare diseases and their caregivers with an opportunity to voice their opinions through surveys and interviews to improve medical products and services. The Society for Participatory Medicine’s mission is to improve collaborative partnerships across the continuum of care to optimize health and health care. TechCare connects family caregivers to technology products and services that can help them with their daily caregiving tasks.